This chic little stool? I've been making them and selling them to local designers and boutiques. 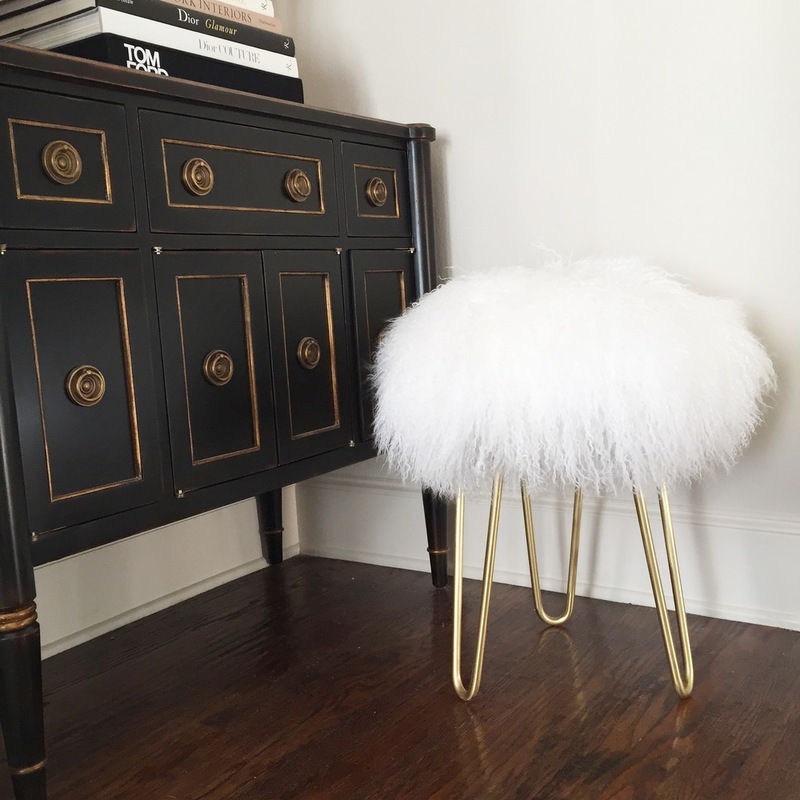 Made from solid brass legs and genuine Mongolian Wool (Tibetan Lamb) fur, these adorable stools are as functional as they are fabulous. Strong enough to support roughly 200 lbs and incredibly versatile. At 18" x 18" they are perfectly sized to place in any corner of a room or tuck beneath a glamorous vanity. Each stool is personally designed & built here in Dallas exclusively by moi, with careful attention to the tiniest of details. The bottom of the stool is lined with luxurious black cotton duck and secured with hand-hammered brass upholstery tacks. Perfectly chic from top to bottom exactly the way you'd expect them to be. I'm also offering these beauties in the most amazingly soft shade of blush pink as well as a soft ivory white. If you're a designer, boutique owner or just a design lover and are curious about pricing or custom orders, please send me a note. I'd love to chat about getting these to you and your most deserving clients! This isn't the last of my introductions, so stay tuned!